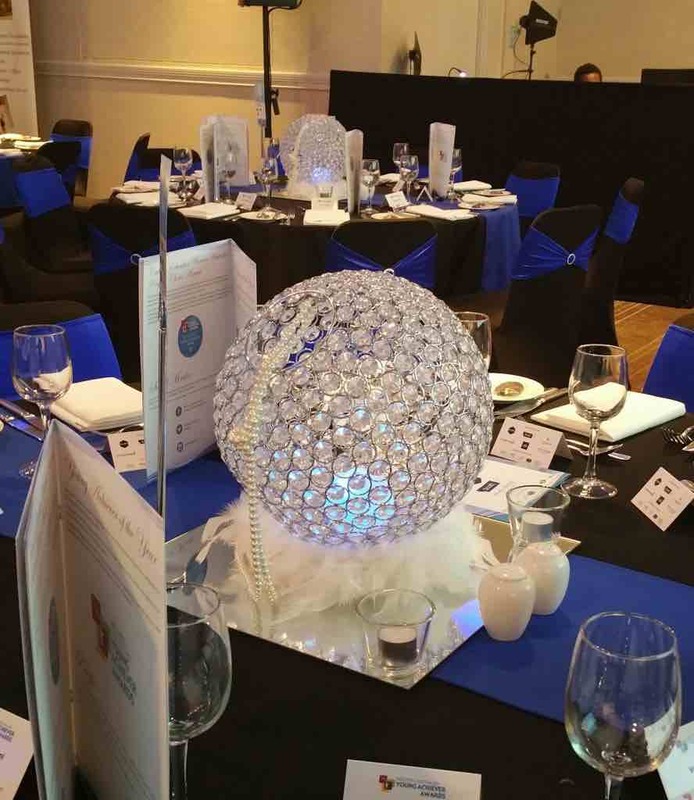 Crsytal Orb Centrepieces on clear acrylic stand. Exquisite Crystal Orb (Sphere) Centrepiece atop an elegant 70cm or 50cm Clear Acrylic Stand giving the impression that the Orb is floating. The crystal ball is 20cm in diameter. Stunning Low Crystal Orb Centrepiece with LED light inside the sphere and decorated with a string of pearls off the top opening of the sphere plus feathers on base. A perfect complement for any formal gathering and celebration. 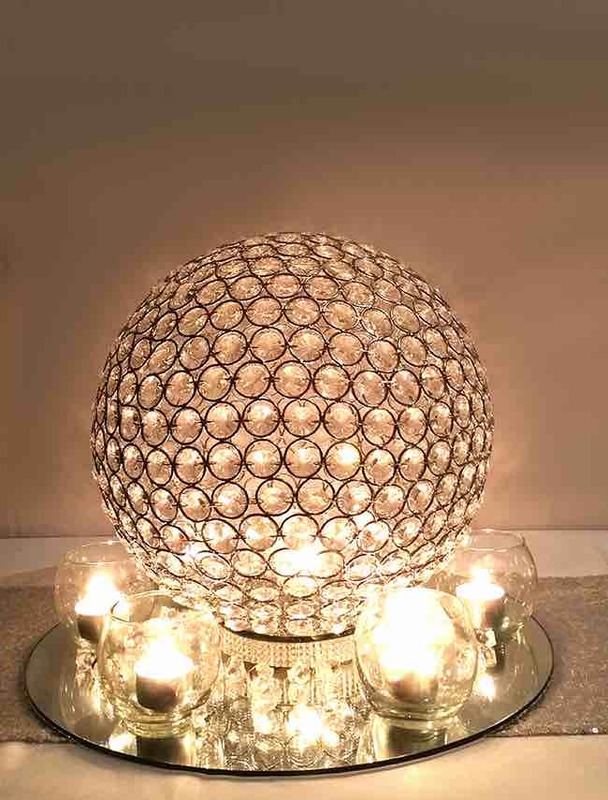 Gorgeous Low Crystal Sphere Centrepiece with a Candle inside the sphere and surrounded by tea light candles in clear glass holders and finished with acrylic scatters. The crystal ball is approximately 30cm in diameter. 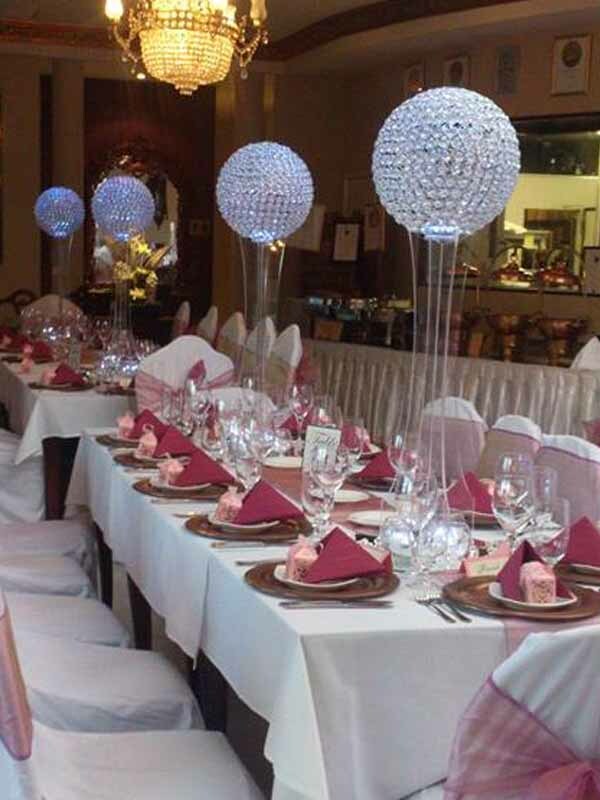 Reserve your Crystal Orb Centrepieces today! Thankyou. We look forward to helping you with your enquiry!